Sanwa Aquatics (KL) Sdn Bhd is an established Importer and Exporter of live tropical fish in Malaysia. We handle wholesale shipments for both the local and international markets. 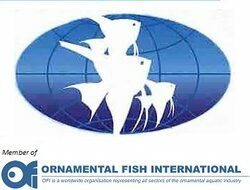 We are well known in the industry for our wide variety and good quality of ornamental fish, as well as our reliability in handling worldwide shipments. We are also renowned for our competitive prices, not just competitive but decidedly attractive. To date, we have established for ourselves a strong local and international clientele. Having been in the business since 1985 gives us a definite edge in the industry as we are able to anticipate your needs. We now focus on using our extensive knowledge and expertise to provide you with high-quality ornamental fish through a quality-controlled delivery process. Sava Sdn Bhd is an established Importer and Wholesaler of Pet Food & Aquarium Accessories, and also Sole Distributor for AZOO brand in Malaysia. Sava LoveCat, Sava LoveDog, Sava Essentials. SAVA believed. We share a special relationship with our pet. One that goes beyond sharing our homes. Pets occupy your minds and lives constitute an important part in our families. Not surprising then as pet owners and caregivers. We only want the very best for our pets. The secret to a happy and healthy life starts with good nutrition. It is the foundation of strength and healing for all living creatures. Sanwa takes pride in practicing strict methods of quality control. Our fish farm stocks large quantities and varieties of the best local and imported ornamental fish. To ensure that this quality is maintained upon delivery, we first quarantine the fish for a period of time, then fish are sorted according to specifications and carefully packed into special plastic bag with oxygen filled, all special plastic bags are then securely placed into a form box sealed with corrugated carton box.